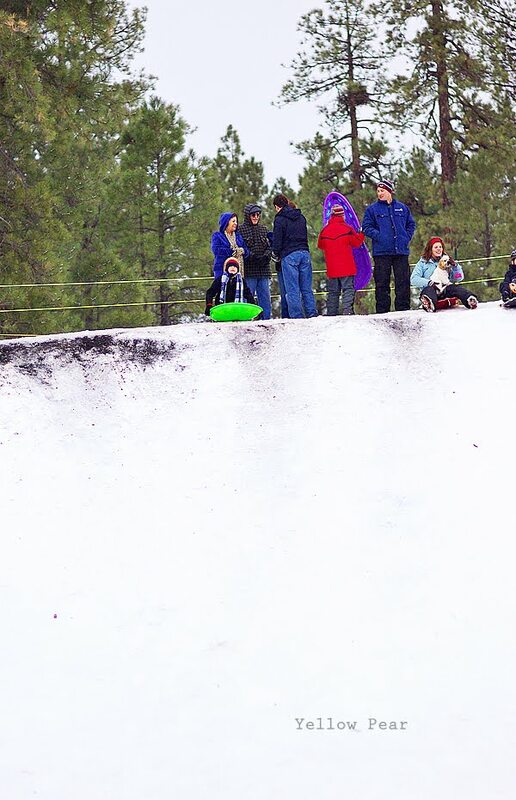 We went on a spur of the moment journey to the Arizona mountains for some quality time with some snow last Saturday. And since our cold weather attire was still readily accessible from the last adventure...gathering the necessary supplies was relatively easy... although some pieces must be missing because we were short some...hence the mismatched gloves...can you spot them? 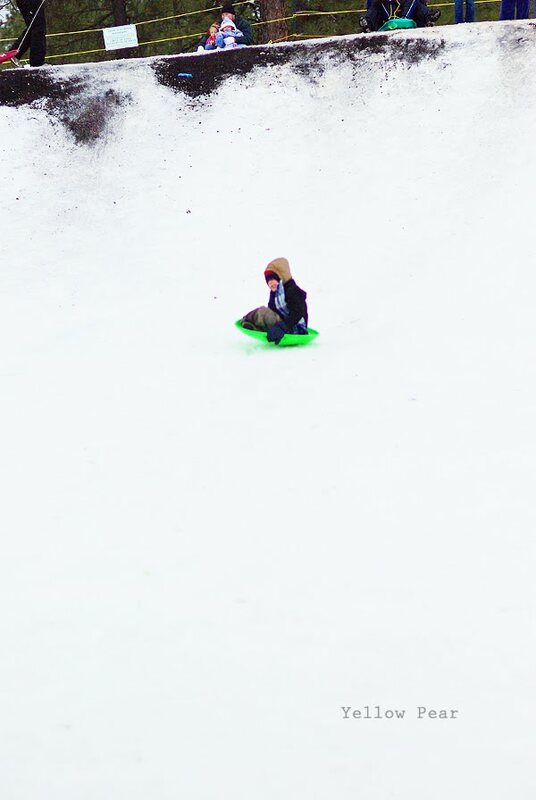 The big boys loved sledding. 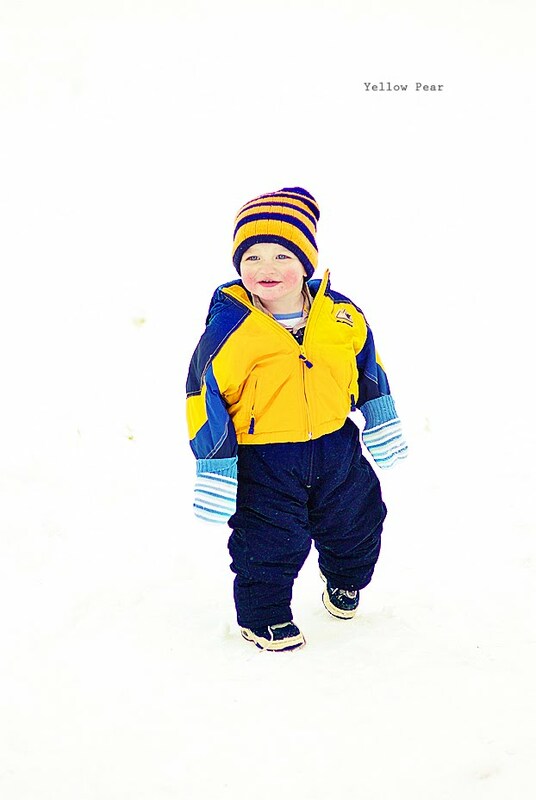 Q loved roaming around and tumbling into the snow every once in awhile. Look! My head disappeared. 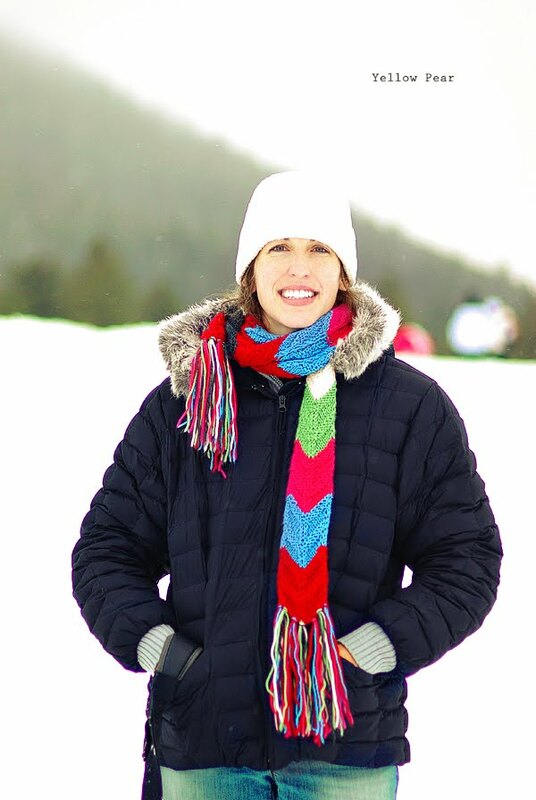 That's what happens when you have four kids...er I mean when you wear a white hat in a winter wonderland. I had Miss B snap another with the mountain behind...just so you all know that I do indeed have a head. 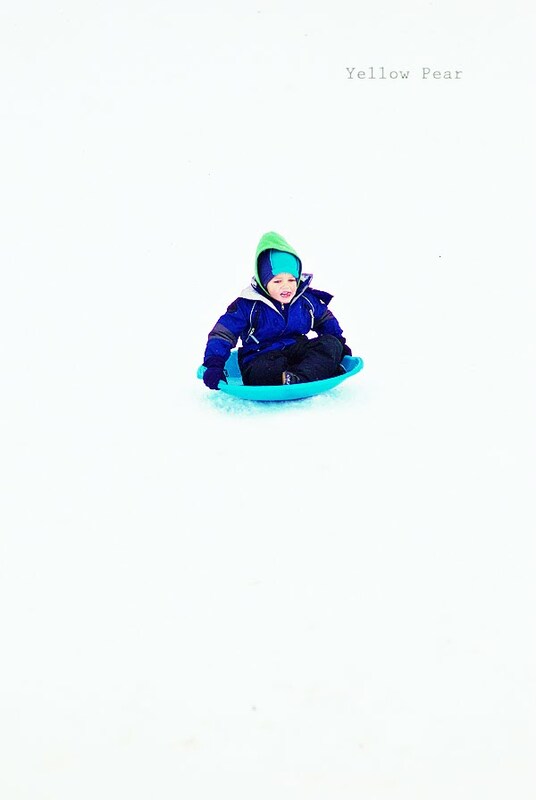 Oh and also, I did have my turn at sledding. I went down a whopping two whole times. Which was good enough for me. I'm not much of a thrill-seeker, you see. Then it started to snow...lovely for us desert-dwellers. After we warmed up in the car and grabbed a bite to eat, we headed home. Abut 30 minutes into the drive, we heard a muffled cry. I thought it sounded like Dennis, but he was buckled in the back seat of the van and so the cry couldn't be his...it was much too close. Upon further investigation, we found it was indeed him and his head had somehow become wedged beneath the middle seat of the van. Apparently he thought it would be funny to "trick us" and had shimmied his way under the seat as we were hurtling down the freeway. Unfortunately, he got himself good and stuck in the process. Miss B and I tried pulling him out as best as we could while staying buckled ourselves until dear ol' Dad could find an exit. It was no use though and in the end, we found an exit and our muscular father figure had to remove the entire seat to let loose the poor kid's noggin. He suffered profuse sweating...the kind that comes from panic I am sure...plus some small, rug burn-type markings on one side of his face. He also had to endure a lecture about what could happen if he did not wear his seat belt. Hopefully standing on the side of the dark and cold road with cars zipping by helped to bring home the real possibilities. And eventually all of our hearts quit pounding and we all made it home safely. 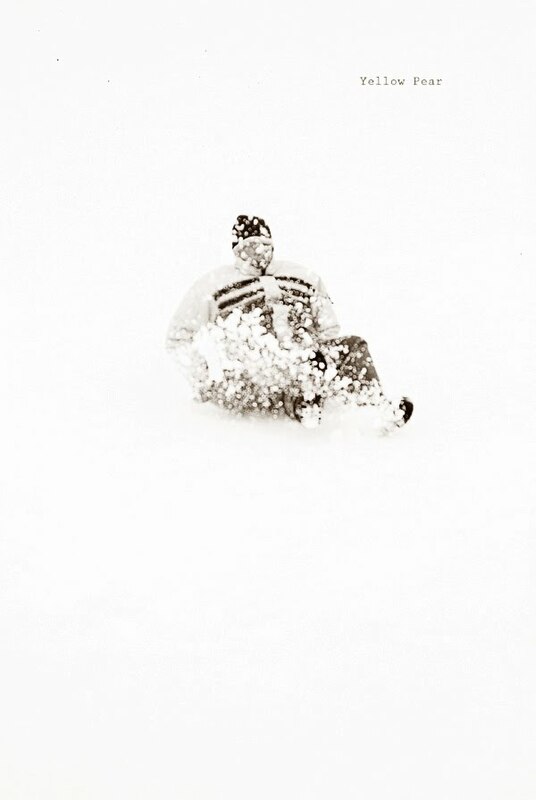 Man, sledding looks so dangerous! 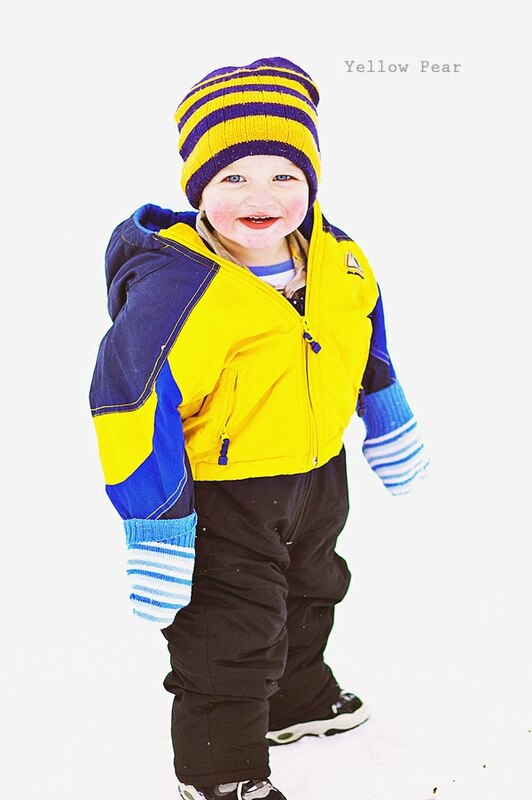 I think L needed to put his feet IN the sled, might have helped with the snow in the face. Unless it was his way of dodging a photo shoot where he'd end up on the blog. I would have been with B in the fort building. 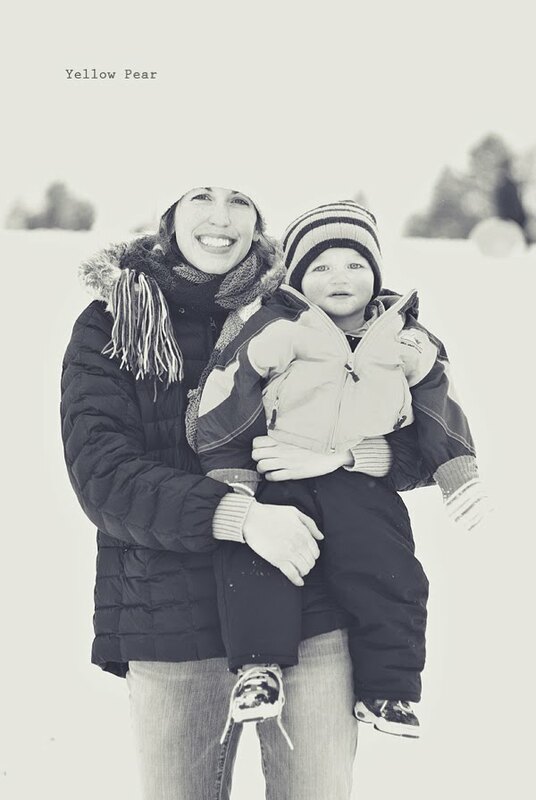 C & Q look very content in the winter wonderland! 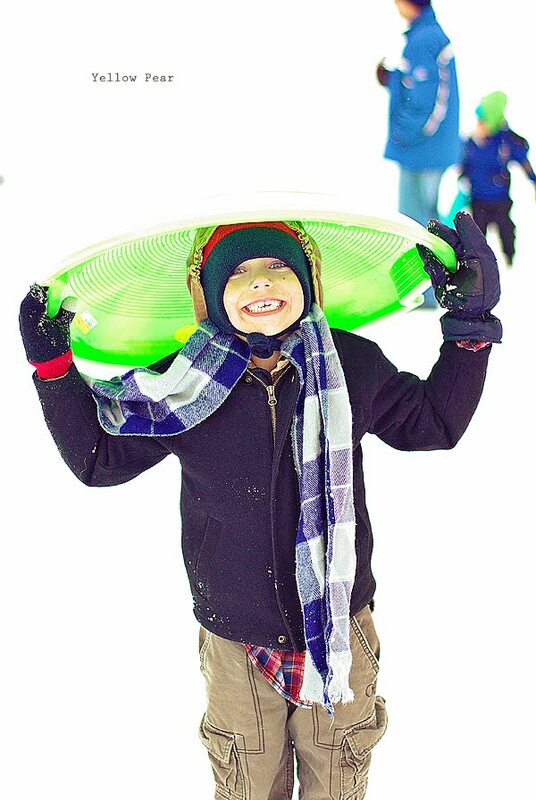 And what a fun sledding adventure. 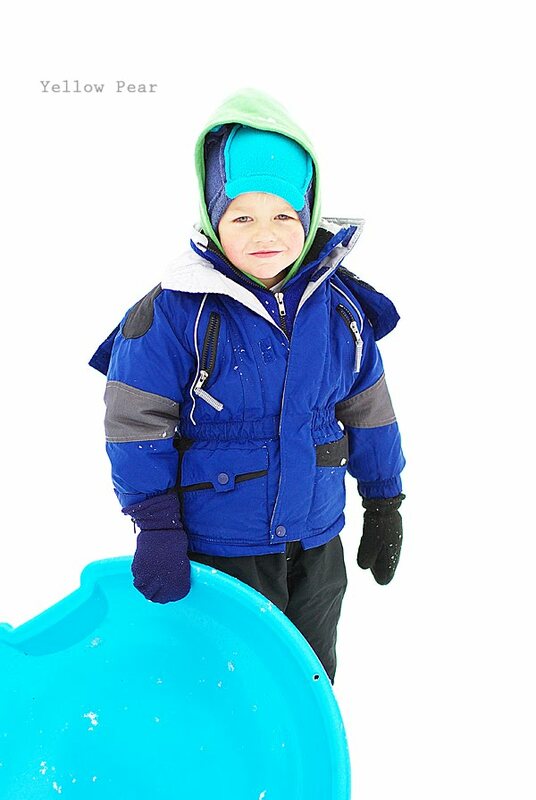 My kids take for granted the fact they just walk out the door to sled whenever they want to. I envy your desert weather! Looks like fun, Lou. And that Dennis! I guess his little joke backfired on him a bit, eh?? Looks like a lovely day. I agree with Me... a picture of stuck little guy would be classic!! Great story, partly because it could very easily have been my little guy!! So much fun! 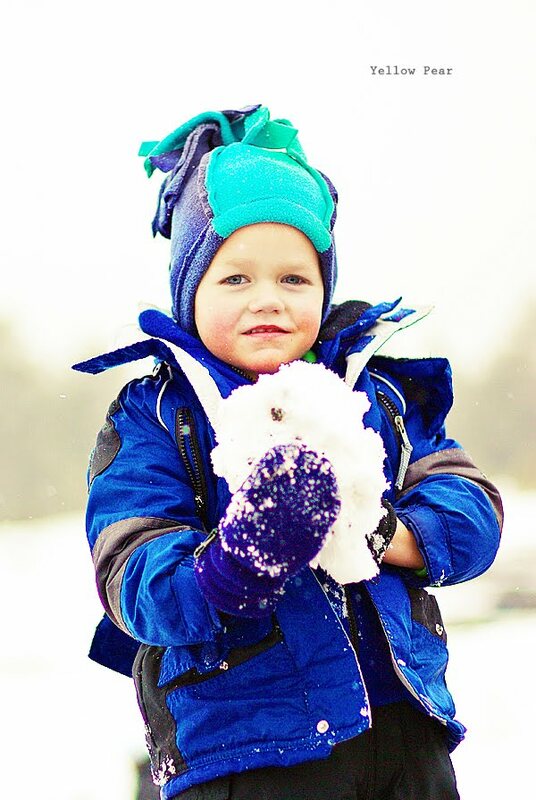 We took our kids to do some snow stuff in Colorado and at first they were not so sure but then they were really into it! It sure is beautiful. I alwas love catching up with your blog!